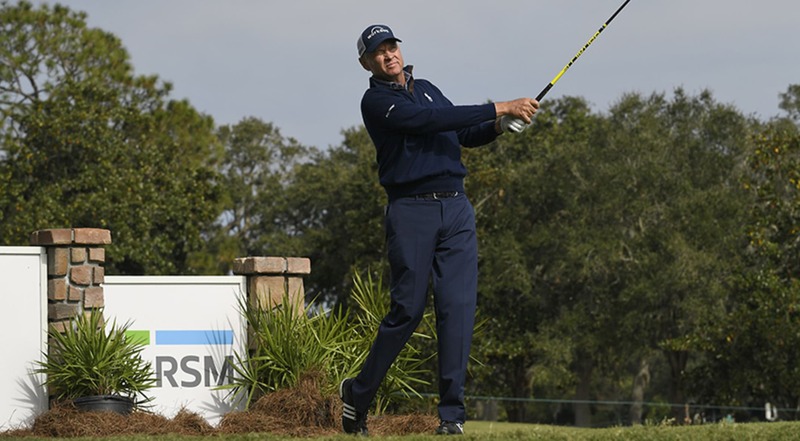 The RSM Classic gets underway this weekend as golfers try to get their last points before the PGA Tour’s holiday break. The tournament, held on Georgia’s St. Simons Island, plays over 2 courses at the Sea Island Golf Club. The tournament, founded in 2008, is a relatively new edition to the PGA Tour. It is hosted by World Golf Hall of Famer and St. Simons’ resident Davis Love III and benefits his charitable Davis Love Foundation. The tournament is normally a tight affair, with the majority of wins coming by only a single stroke. The tournament also has never had a repeat winner, something 2017 champion Austin Cook is looking to change. Hailing from Arkansas, Cook achieved his career through hard work, first at the unfancied University of Arkansas and then largely slugging it out on minor tours while using Monday qualifying to compete in PGA Tour events when possible. 2017 was Cook's rookie season on the PGA Tour, playing previously on the Adams Pro Tour and the Web.com Tour. It was just his fourth event of the season when Cook teed off in Georgia last year. After a strong second round performance saw Cook take the early lead, a fourth round rally saw J.J. Spaun come to within 1 stroke. However, Cook held his nerves and sank 3 birdies on his last 4 holes to secure a memorable first professional win. Unfortunately for Cook, an entire field of golfers are also looking to get their hands on the RSM Classic trophy. One potential winner is Cameron Champ, winner of the Sanderson Farms Championship in late October. Another early favorite is Webb Simpson, currently ranked 20th in the world, in only his second event of the new season. Simpson’s strong finish in the FedEx Cup Playoffs coupled with a respectable T15 finish at this year’s Shriners Hospitals for Children Open means he is more than capable of securing the win. Veteran players like Jim Furyk, Retief Goosen and Ernie Els will also be looking to make an impact. Chilean 19 year old Joaquin Niemann continues his chase for his first PGA Tour win while amateur LSU golfer Garrett Barber will also look to make an impact. An interesting side-story to the tournament is the continued push for a resident of the island to win the tournament. St. Simons Island is home to numerous professional golfers, including host Davis Love III, but to date no resident has taken home the trophy. This year’s hopes rest on golfers Patton Kissire, Zach Johnson, Keith Mitchell, Brian Harmon and Jonathan Byrd as the best of over a dozen locals set to tee off this weekend.